The passage of the Air Corps Act of 1926, and the resulting Five-Year Plan for Army Aviation, authorized the establishment of the new field. 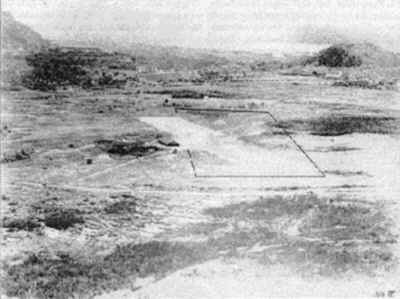 The site chosen for this field was the old Balboa Fill Landing Field, which had been redesignated Albrook Field in 1924. 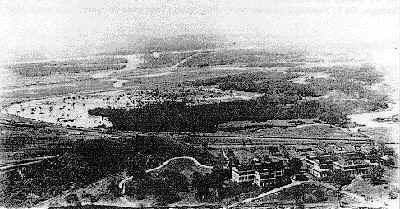 While the passage of the 1926 Air Corps Act granted the Army initial construction authorization for the establishment of the new Albrook Field, no funding was forthcoming for another two years. During that period, other airfield projects took precedence for the Air Corps' limited financial resources. When funding was finally approved for Albrook, more delays followed during the planning stage as a result of some debate over the placement of the flight line. When plans were finally approved, yet more delays ensued as the original contract bids all came in significantly over the approved appropriation, and the plan then had to be reworked to allow for less expensive completion. Construction actually began in 1930, and most was completed by 1932 when the flying field was finished. Some of the technical construction was further delayed, as two of the hangars remained uncompleted until 1934. 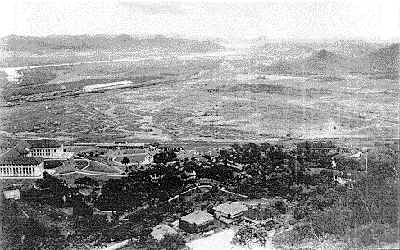 Thus the entire construction process, from initial approval to final completion of the flying field, took eight years to complete -- a time span that compared very unfavorably with the 3-year average that might be expected in the continental U.S.
Extracted from Historical and Architectural Documentation Reports for Albrook Air Force Station and Howard Air Force Base, Former Panama Canal Zone, Republic of Panama, by Dr. Susan I. Enscore, Suzanne P. Johnson, Michael A. Pedrotty, and Julie L. Webster, RA, U.S. Army Construction Engineering Research Laboratories, September 1997. (Full citation in Links/Literature). (Footnotes not changed and those pertaining to Albrook are located at the end of this section.) (Not all photos in the original publication are included here.) Portions of this report on Howard are included in a separate section on History of Howard Air Force Base.